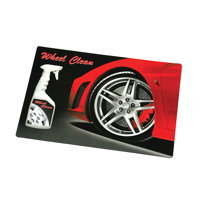 We have a fantastic collection of printed mouse mats ranging from the traditional printed hardtop mouse mats, and soft top mouse mats, to the strong welded Armadillo and the ever so colourful aqua mouse mats. Alternative promotional mouse mat products included the Britemat, available manufactured from recycled materials, as well as a range of speciality mouse mats including bespoke shaped mouse mats, calculator mats, pad mouse mats and lenticular mouse mats. 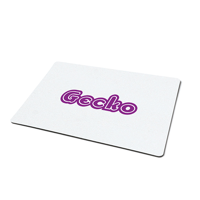 Promotional mousemats are still a fantastic promotional product, everyday we use our mouse at our computer, what if that mouse was on your mouse mat, seen out of the corner of your buyer's eye everyday? 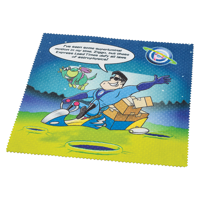 Given away at a trade show, left behind by a sales person or a great mailing item printed mouse mats are a fantastic promotional product. Key to success and a Return on Investment is to make sure your mouse mat gets used, but it has competition chances are a printed mouse mat already occupies that space. Please ensure your mouse mats are colourful, make them attractive, and think outside the box and make promotional mouse mats more than just a mouse mat with facts or features to make them better than the rest.